I missed the Stash Report yesterday. But that is ok because there were no changes, 0 in 0 out. So here is the design wall. 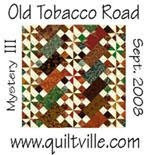 I am making progress on this quilt. Yea!! Now to cut the pieces that fill in the background and start putting it together. Looking good, in my opinion anyway. 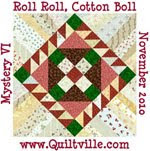 On top of this I took up a mystery quilt with Gyleen Fitzgearld from Colorful Stitches, you can find her here. .http://www.colourfulstitches.com/ We are to make 12 hexie flowers. Here is a picture of what I have done so far. Just a clue, these are BIG, cut from a 5 1/2 inch strip, using her Polygon2 Tool. These are sewn on the machine and are going together soo fast. I did all of them this afternoon. I need 12 before the next step is passed out. I have the rest of this week. Your deb K quilt is going to be SPECTACTULAR! Your colors really pop on the first quilt! 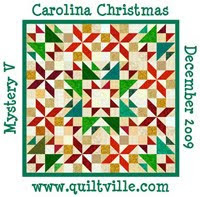 Can hardly wait to see how you quilt it!